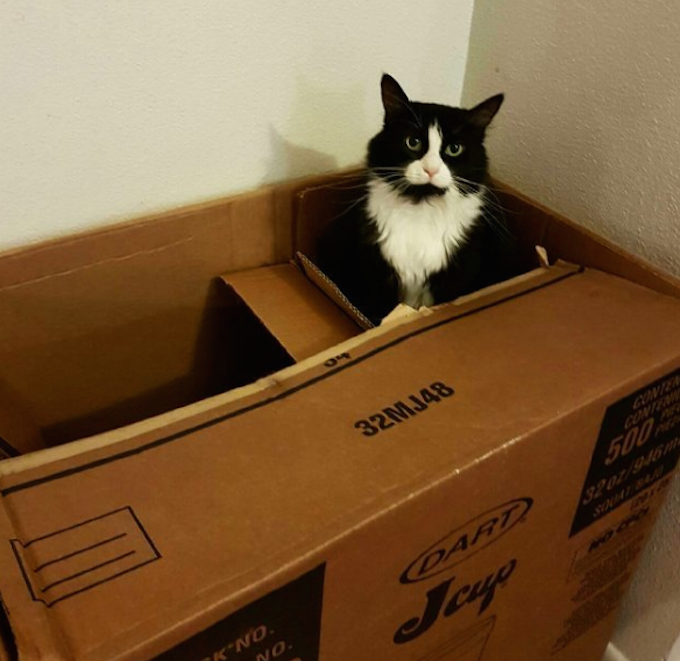 Cats love cardboard boxes. 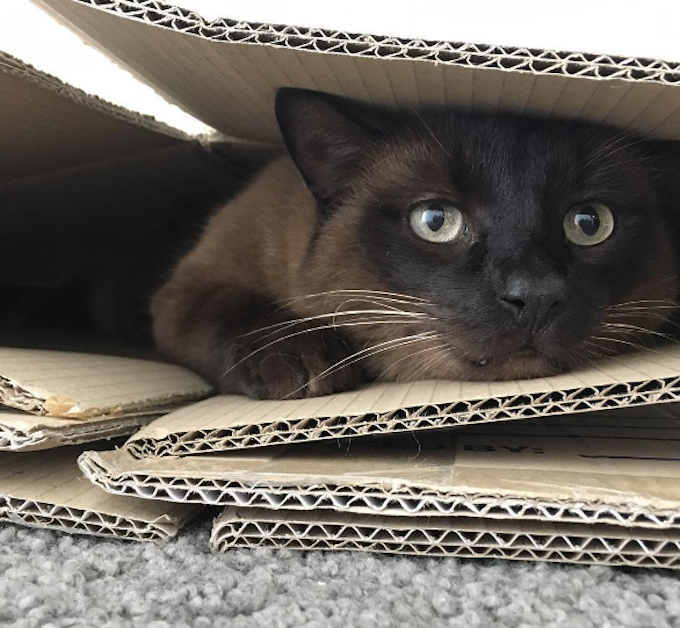 Science has proved this to be a universal truth: Place a cardboard box on the floor and any and all nearby cats will instantly hop inside of it. 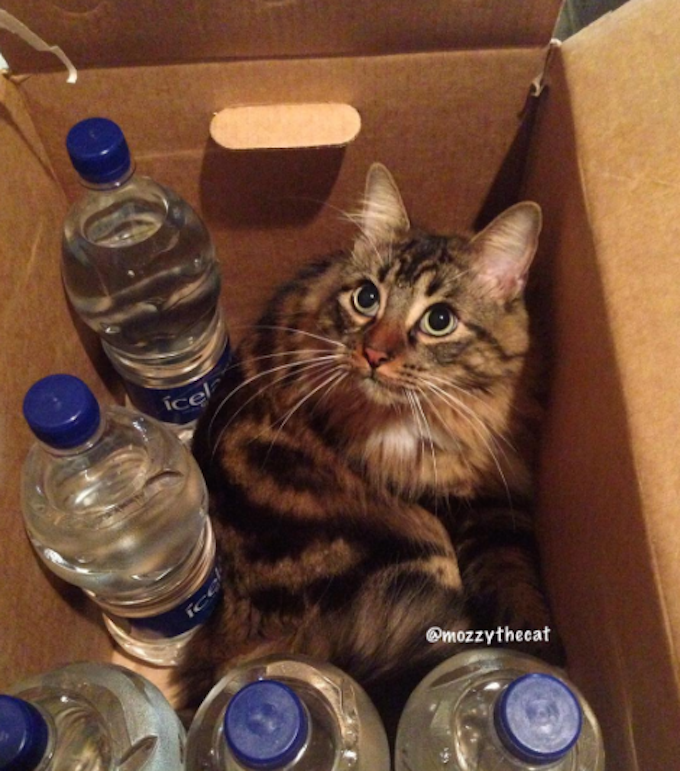 But have you ever thought about which type of cardboard box is the best fit for your cat? Is it an oversized moving box? Ubiquitous Amazon Prime box? Or even a raggedy shoe box you long forget to throw away? 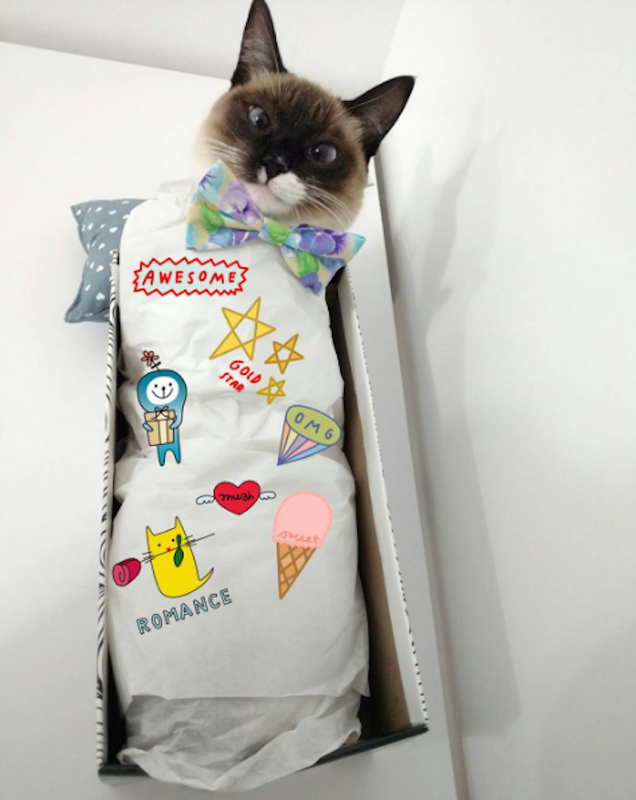 Well, wonder no more as we’ve decided to solve that little kitty dilemma for the ages in the most impartial way possible — by checking out Instagram pics and ranking cardboard boxes for your cat. This is just not cool. Always properly clear out your cardboard boxes before gifting them to your cats. From what I can fathom, this huge box originally housed a bunch of foam cups but was then used as a moving box. Craftily, with a little help from her humans, Moo Bear the cat has tailored the oversized box into a feline safe-house with a little perch. Remember, customization is key when it comes to large boxes. 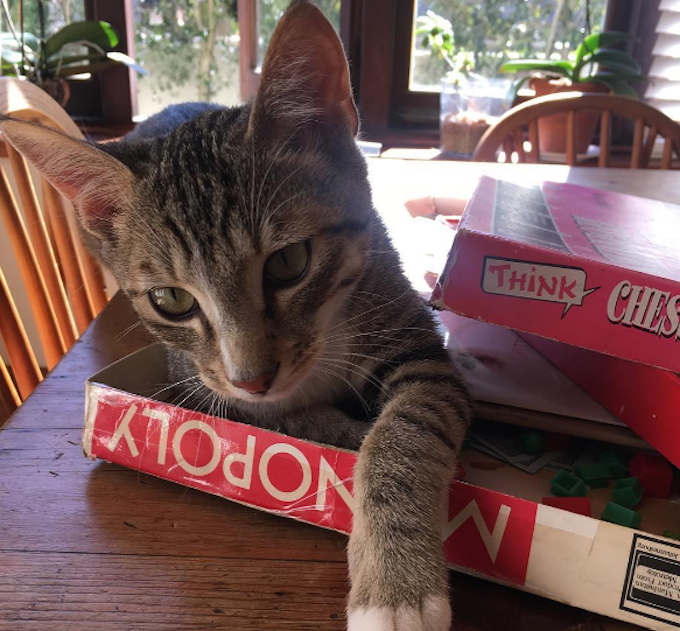 Along with hopping in cardboard boxes, most felines also count ruining board games among their top hobbies. Our friend here is showing his anti-capitalism side by scuppering his humans’ plans to play Monopoly. During times of boredom at work, we all enjoy ordering things we don’t really need from Amazon. Even if you’re attempting a frugal month, the two-day shipping guarantee usually seduces even the most prudent of savers. 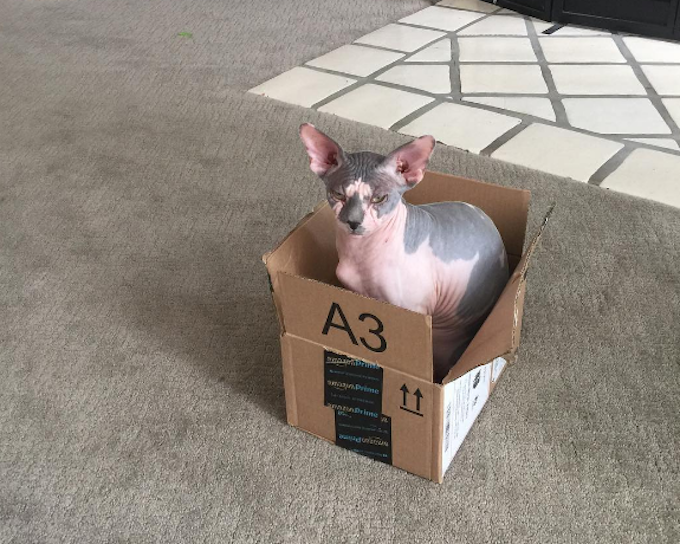 Cats are on board with the profligate spending — especially as it means they can expect a new cardboard box to lounge around in. The only issue is Amazon’s somewhat random approach to box sizing. As the perturbed-looking Milo here has discovered, an undersized box can put a frown on any feline’s face. Super snug is the word when it comes to repurposing a shoe box. Marvel at how Alice has slipped into this svelte box — and then tucked herself in with some cartoon-themed packing paper. Gold star! 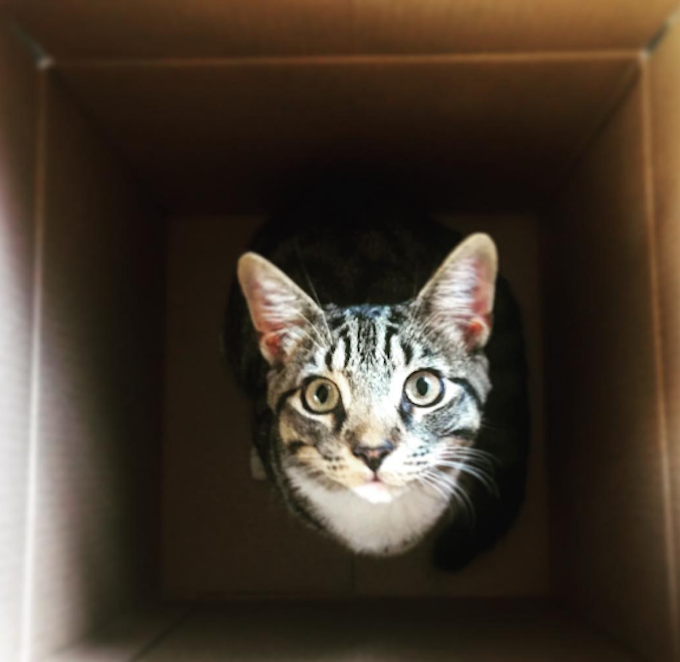 A box with very deep walls offers an excellent challenge for any particularly spritely and curious cat. Just check out the look of personal achievement on Dr. Catteus Lord Leicester’s face here — although he’s quickly about to learn the metaphorical life lesson that leaping out is trickier than hopping in. A wildcard entry, but never forget that a collapsed corrugated cardboard box (of any size) can be just as much fun as a properly constructed box. As this Burmese knows, improvisation is never to be frowned upon. A very diplomatic solution — everyone wins in this situation. Boxes still half full of water bottles might not be cool (see above), but a cardboard box with some paper packaging left inside it is always appreciated. It’s all about the crinkly noise. 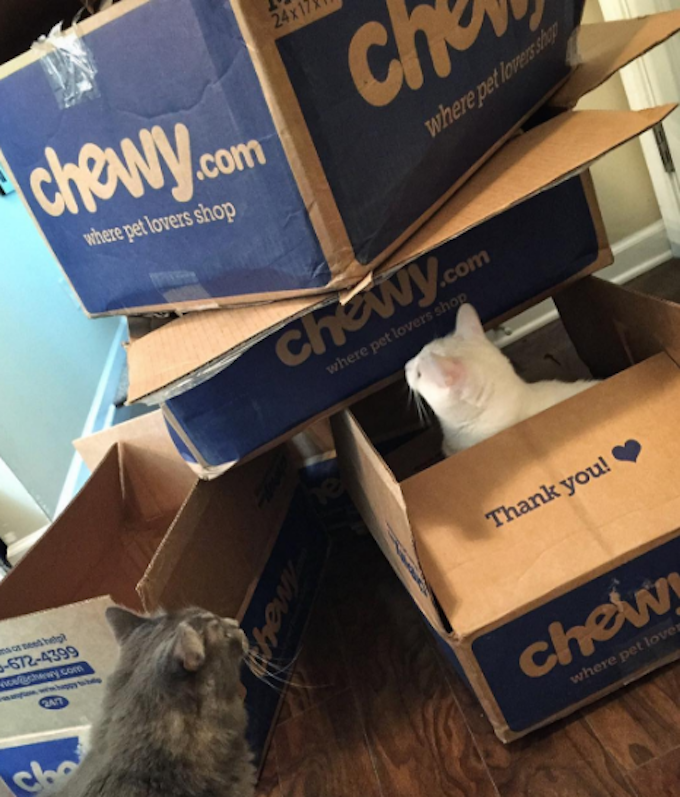 Online pet product vendor Chewy’s standard boxes make for great low-walled cat loungers. Although attempting to combine a few together into some grand kitty architecture project is trickier than it seems. Craft beer and cats are a flawless combination, so it’s only right that leftover beer bottle boxes work like a charm. 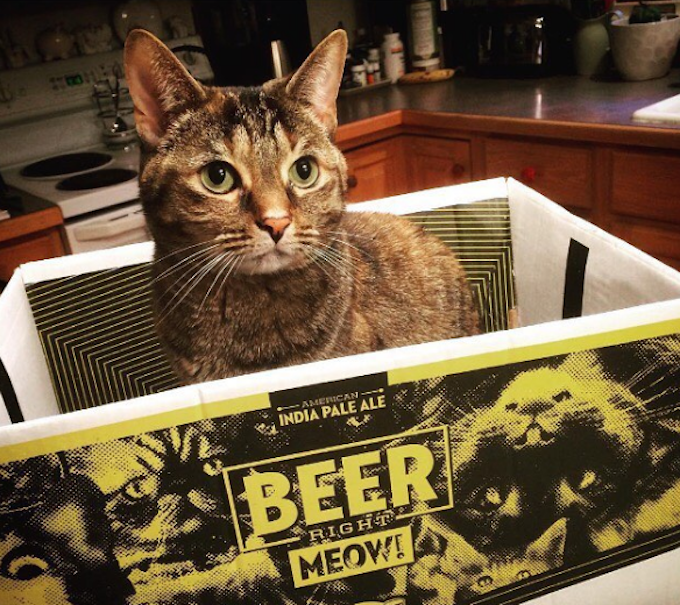 Check out how this refined Domestic Shorthair has turned her’s into a classy beer fort. 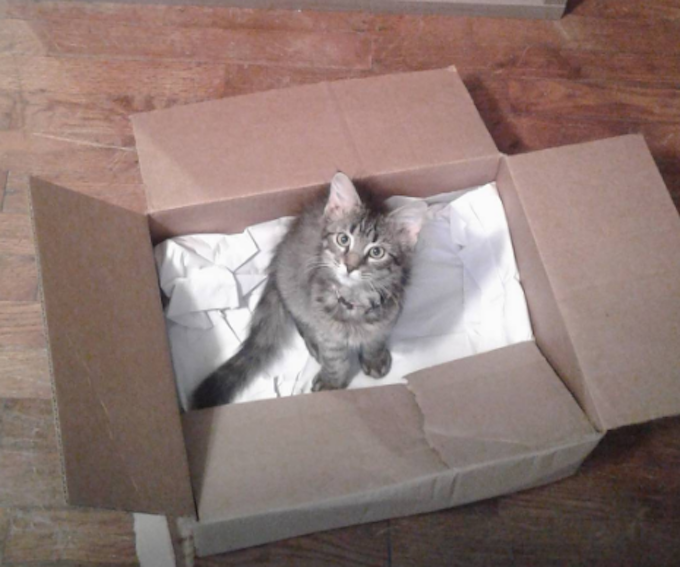 Grumble about the less than stellar nature of the actual mail delivering part of the United States Postal Service all you want, but for cat owners they do excellent work. Why? 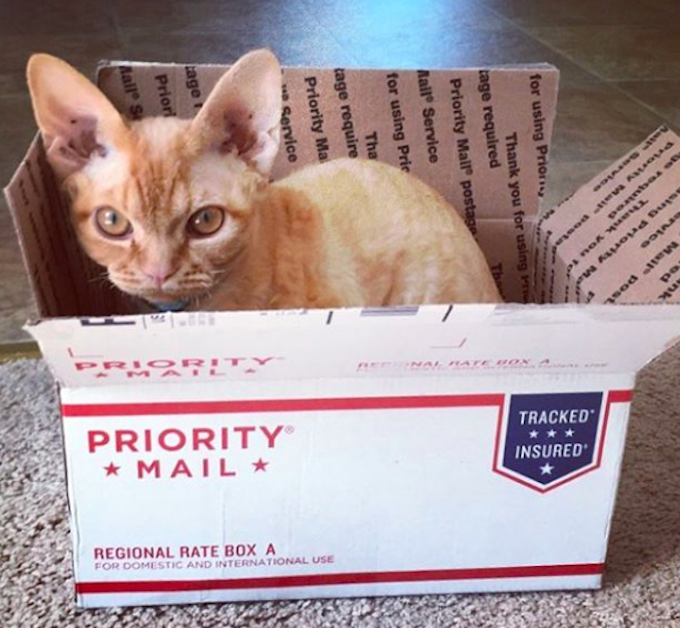 Because you can pop into any local post office and pick up a Priority Mail box for free and take it home for your cat. As young Norton, pictured here, can testify, they make for perfectly snug lounge furniture. 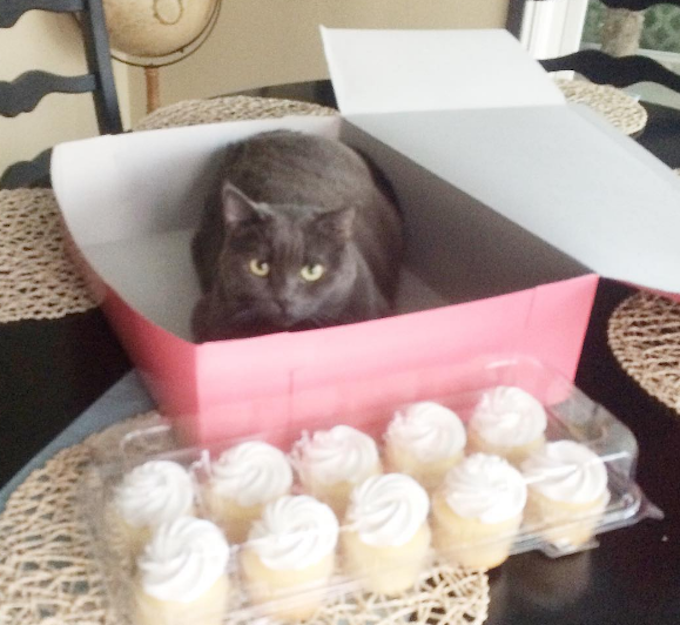 What kind of box is your cat’s favorite?